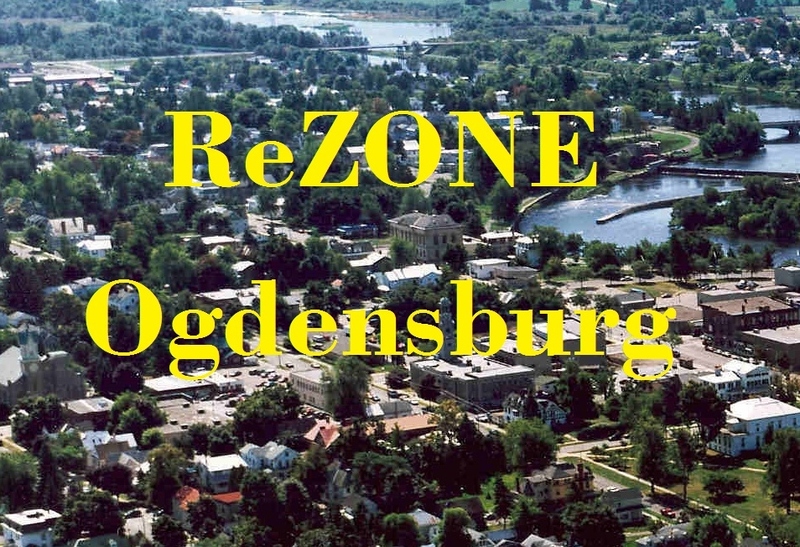 ReZONE Ogdensburg is a comprehensive, City-wide zoning update that will modernize the City’s existing zoning ordinance, Chapter 221 of the Municipal Code and zoning map. This update will streamline permitting and review processes and facilitate the implementation of Ogdensburg’s Local Waterfront Revitalization Program (LWRP) and Brownfield Opportunity Area (BOA) plans. The resulting zoning code will replace the City’s current ordinance, adopted in 1992. The Ogdensburg Public Library and Planning Office both have hard copies of the draft ordinance available for your review during business hours. Additionally, there will be a series of public open houses beginning in May 2019 where staff will be available to answer questions, and review concerns from residents. On behalf of the Ogdensburg Planning Board, I invite you to review the draft ordinance and attend any of the scheduled open house events. Public Input meetings have been scheduled at the Dobisky Center, 100 Riverside Avenue for May 9, 2019 from 6 pm to 8 pm; May 22, 2019, from 12 pm to 2 pm; and June 6, 2019 from 6 pm to 8 pm. Please review the recommended changes to the zoning ordinance at the link below.